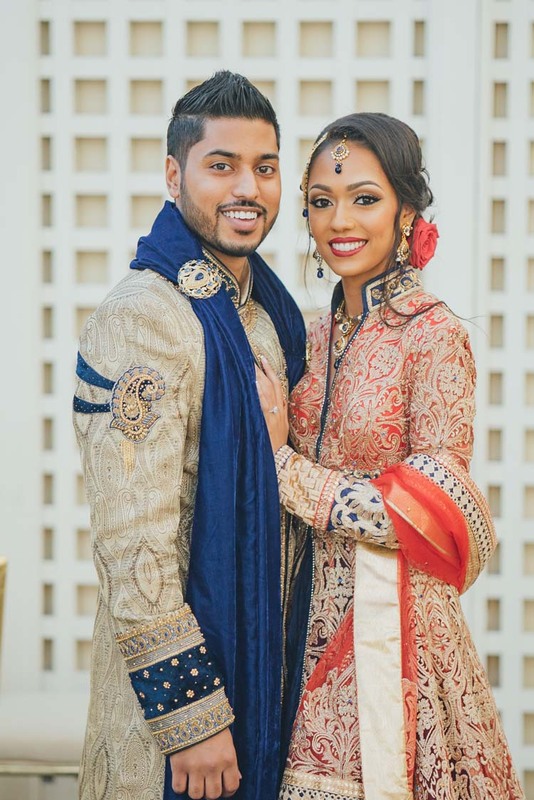 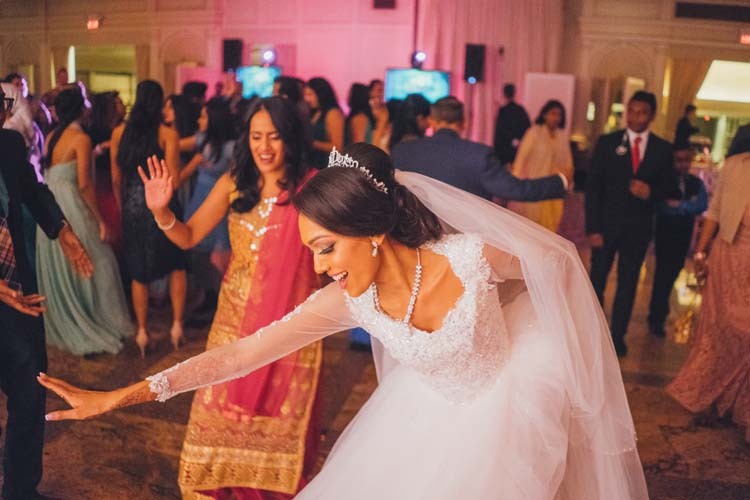 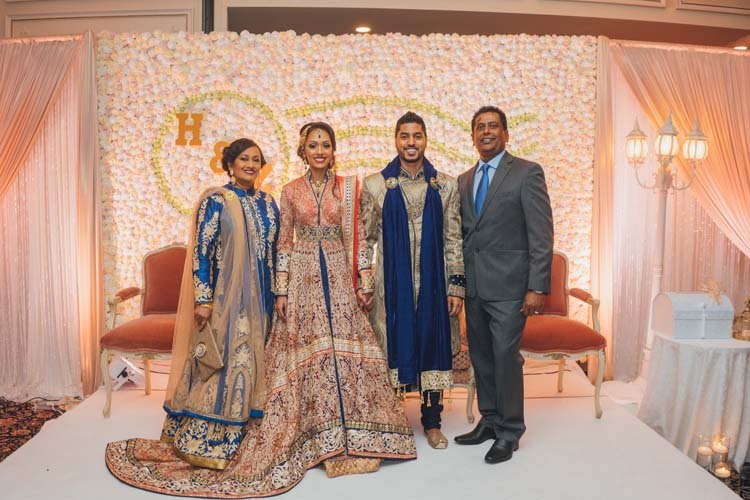 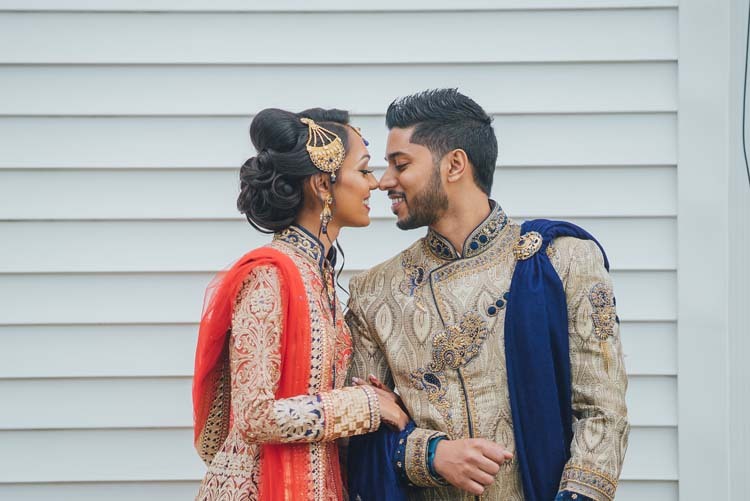 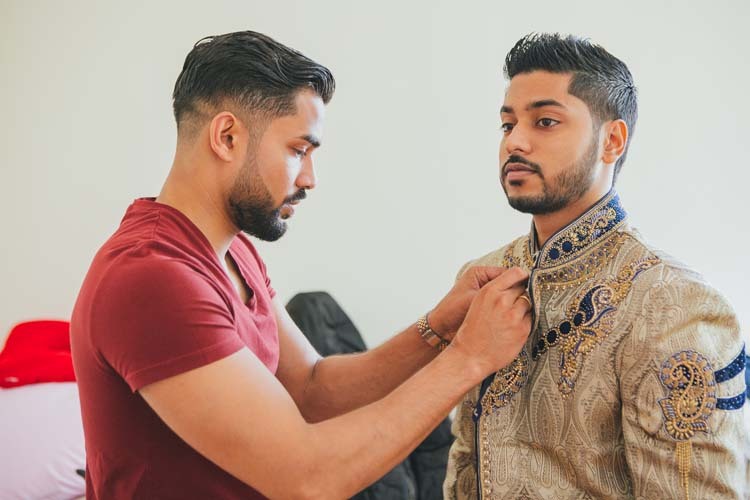 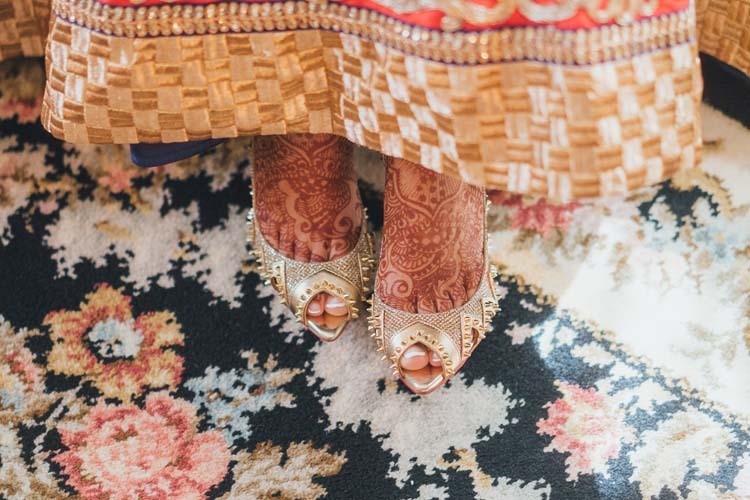 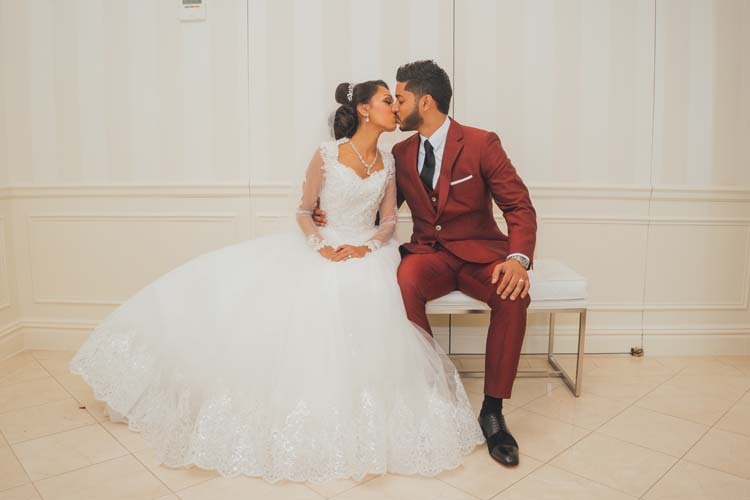 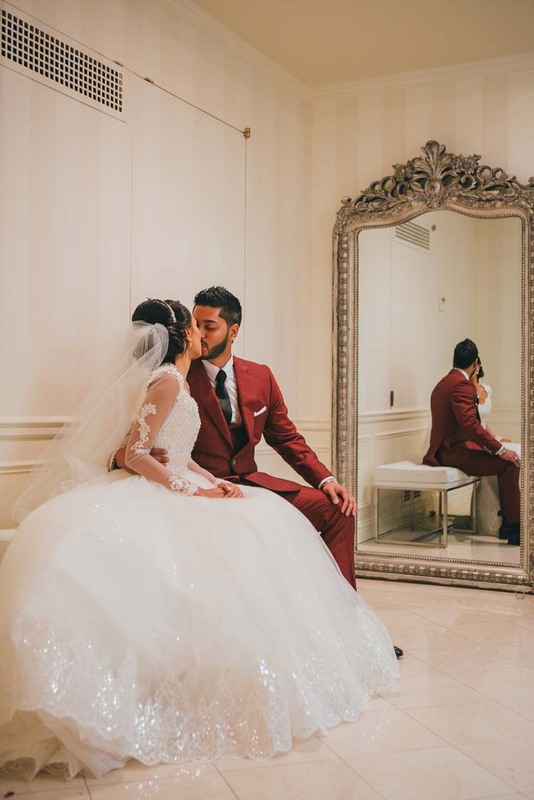 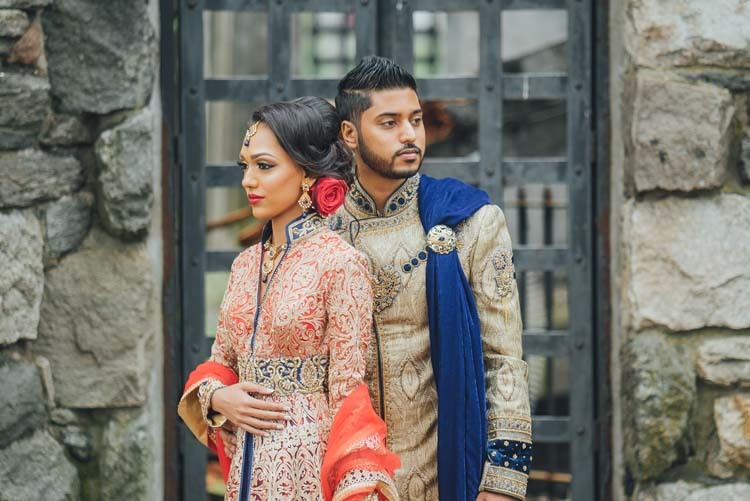 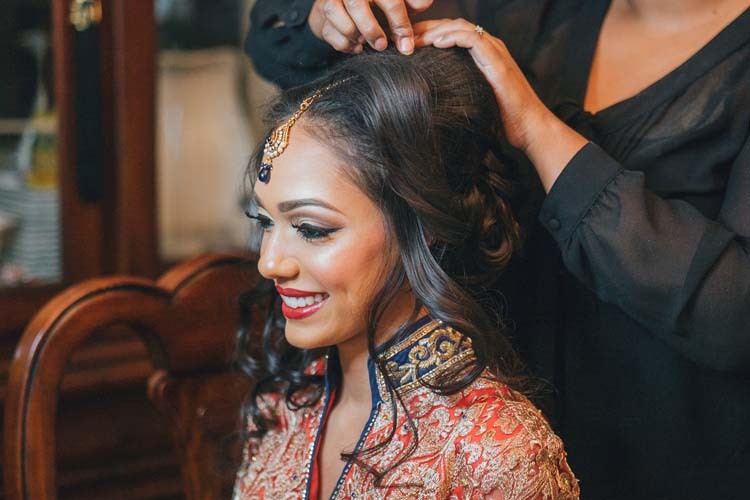 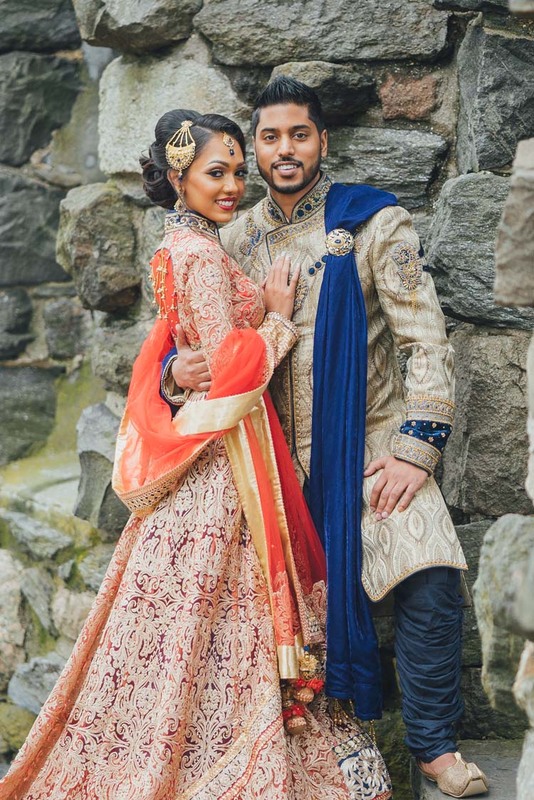 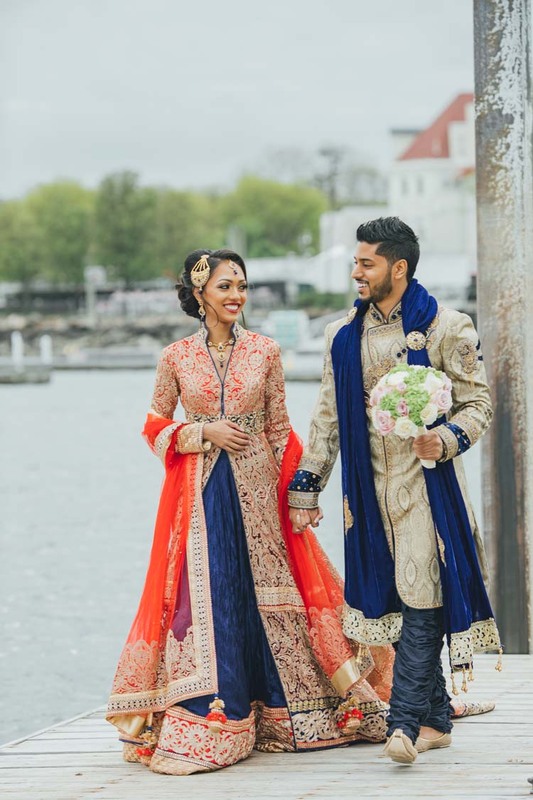 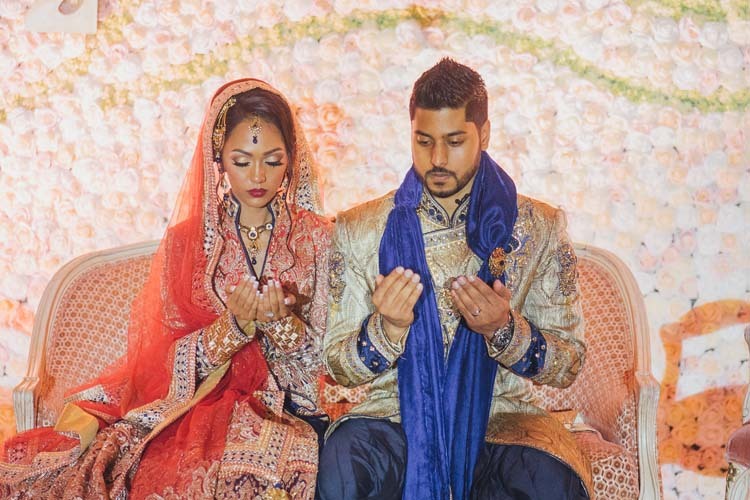 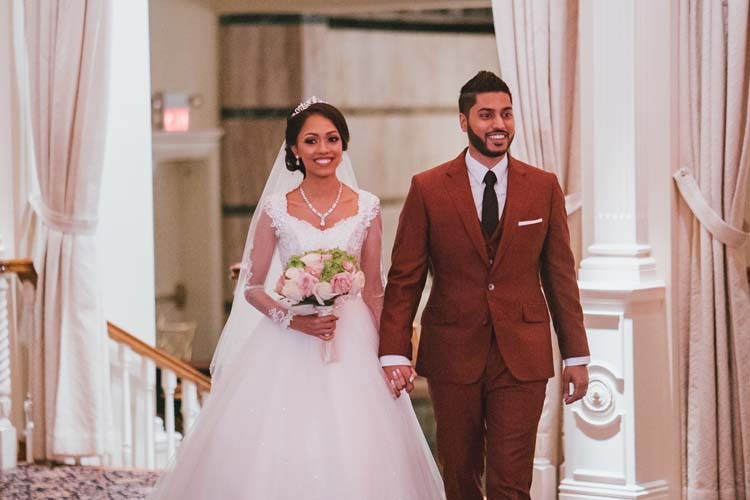 Zenaida and Hefiez’s vibrant Islamic wedding was full of modern glamour and time-honored tradition. 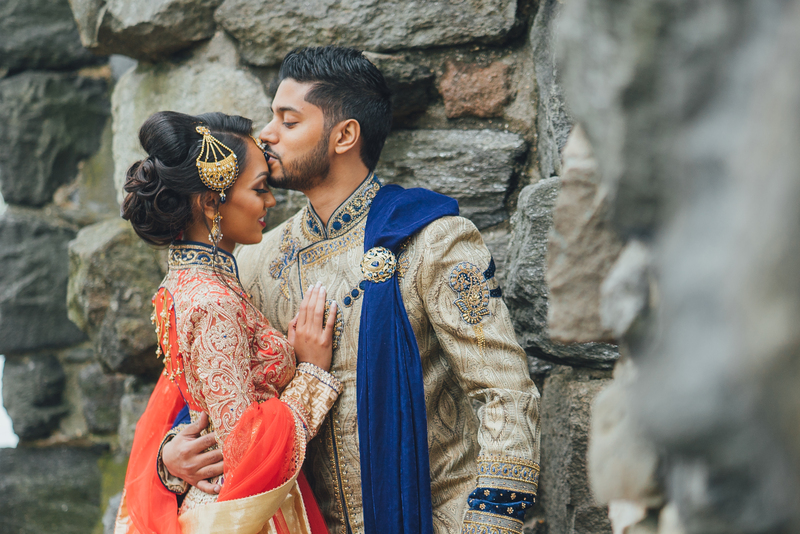 Together, the two looked like royalty. 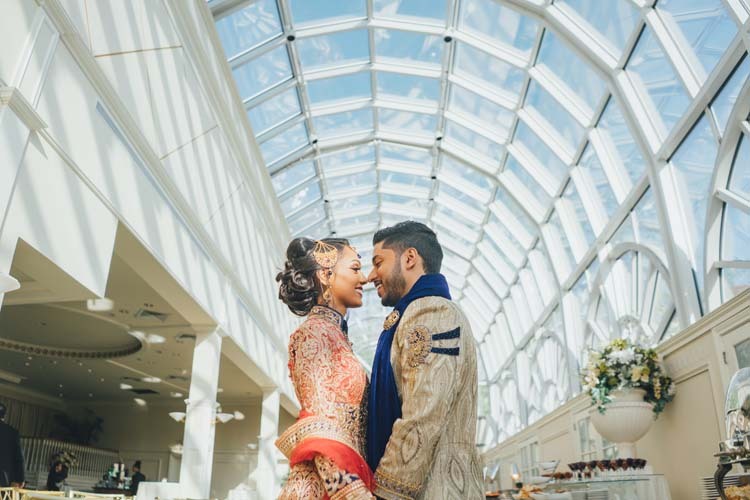 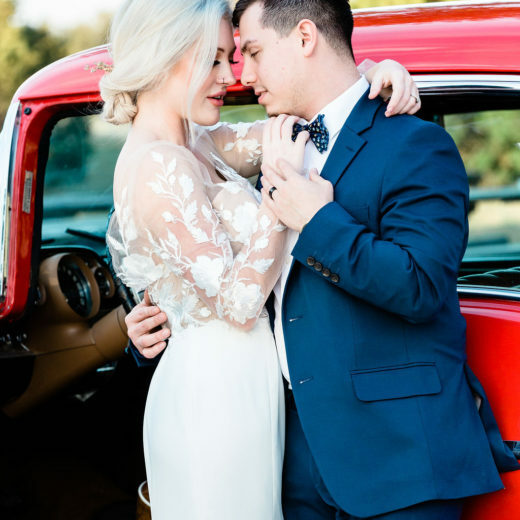 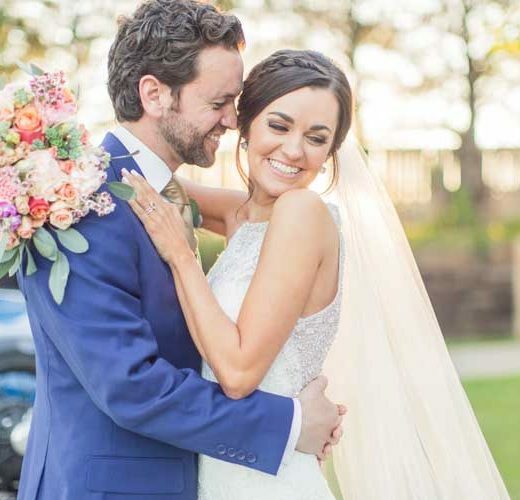 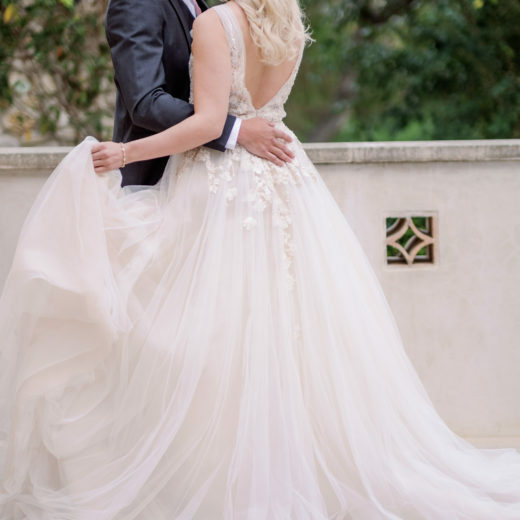 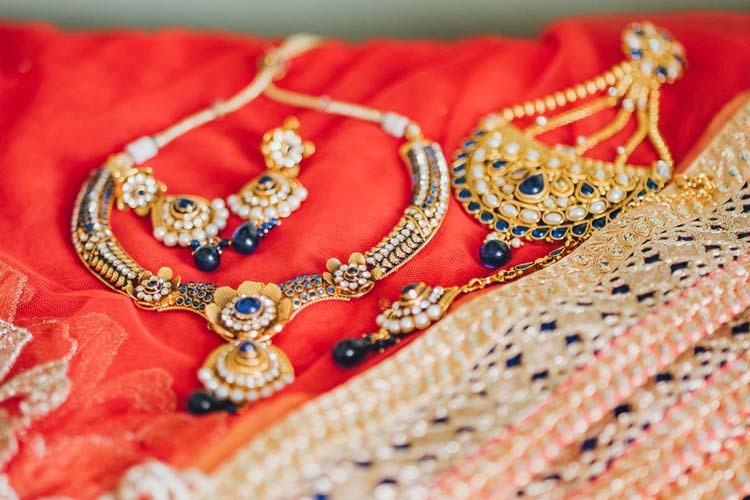 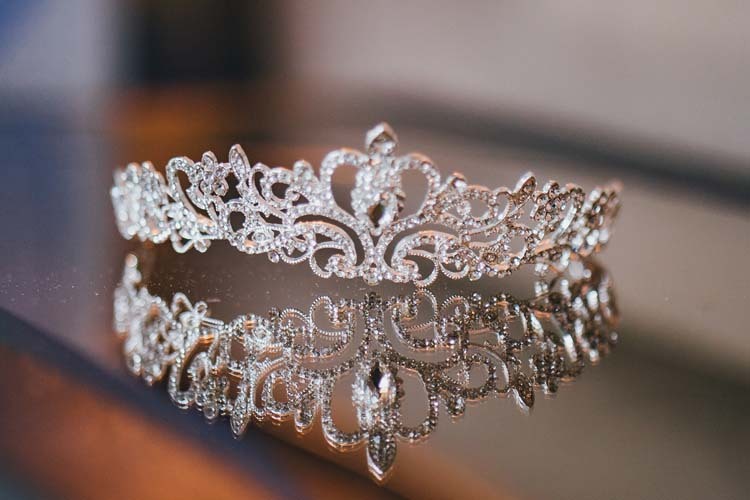 Beautiful images by Intothestory captured the love they shared on their special day. 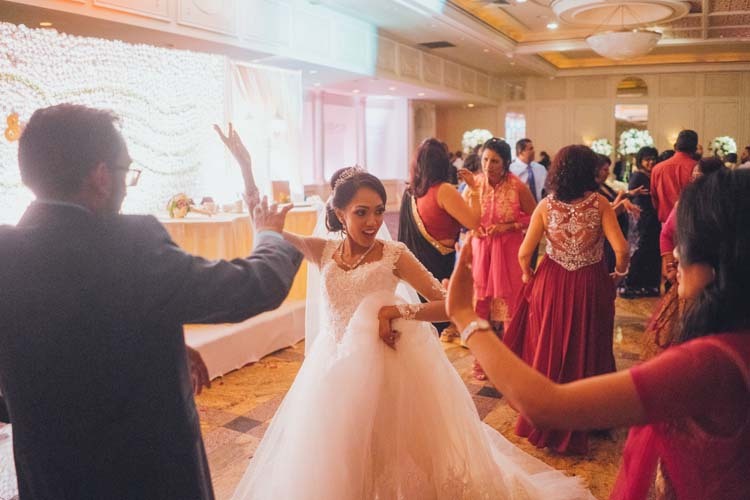 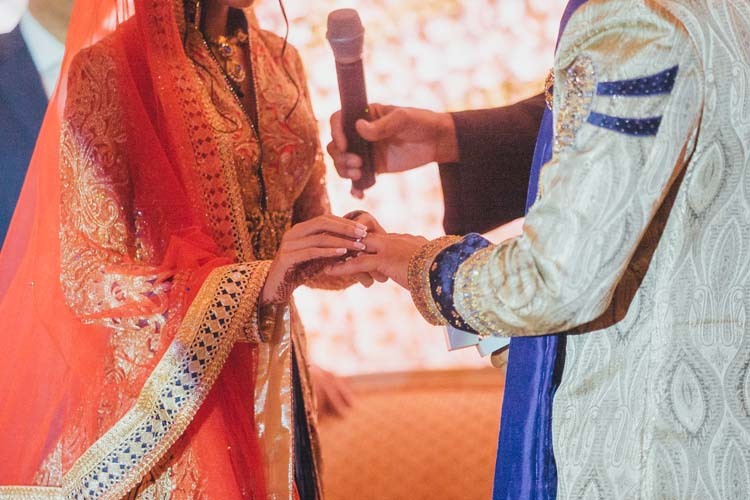 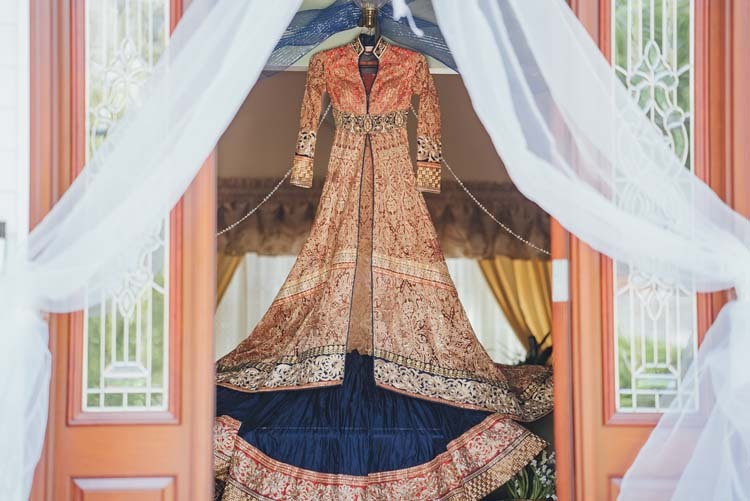 Zenaida and Hafiez’s storybook wedding will make you believe that people don’t meet by accident and that they are meant to cross the same path for a reason. 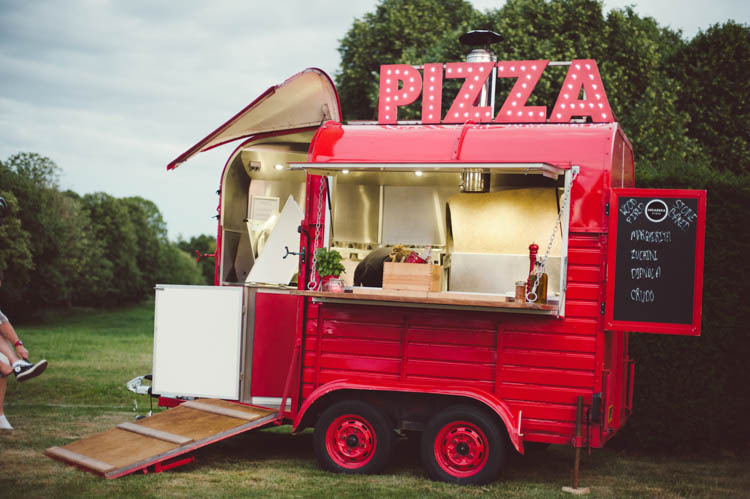 They make you believe in destiny. 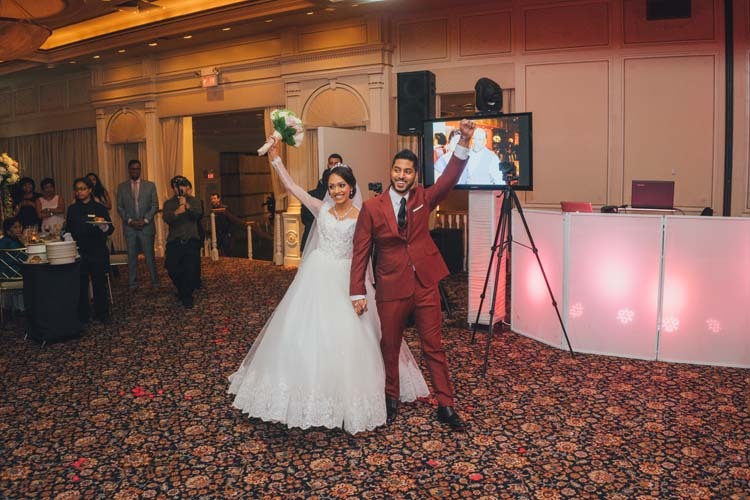 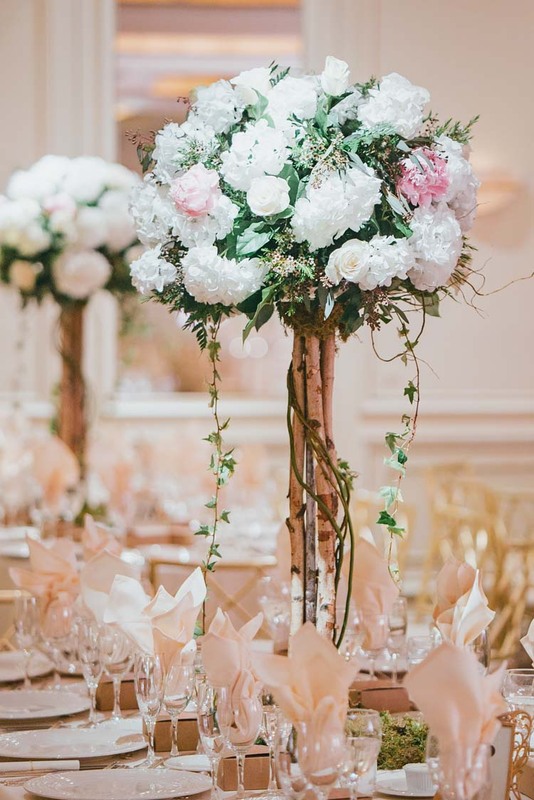 Their wedding ceremony was held at the grand ballroom hall of The Fountainhead located in New Rochelle, New York City. 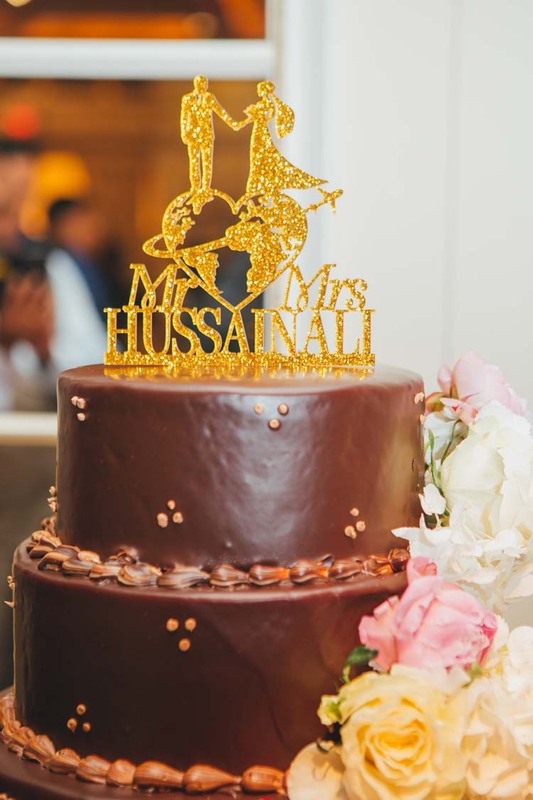 Everything in the venue was in place. 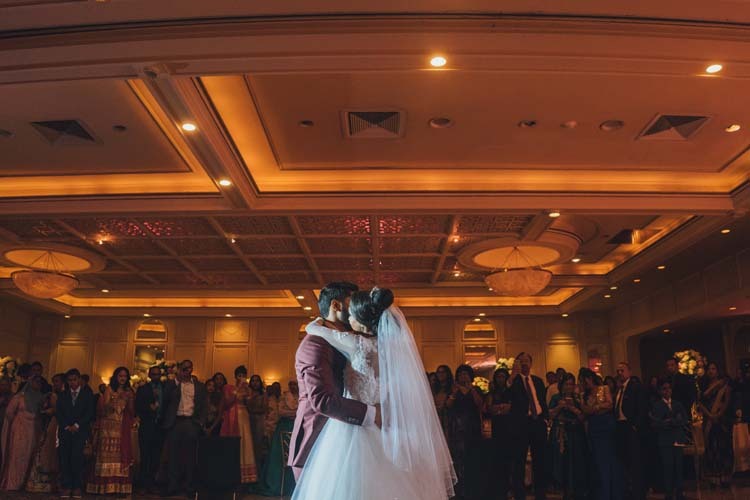 The ballroom hall was lit with bright lights. 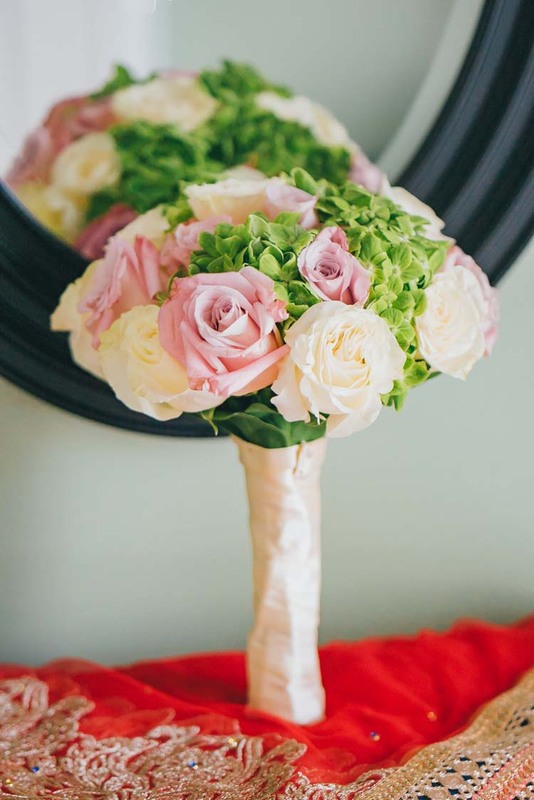 Colorful florals by Arcadia Floral Company were beautifully arranged. 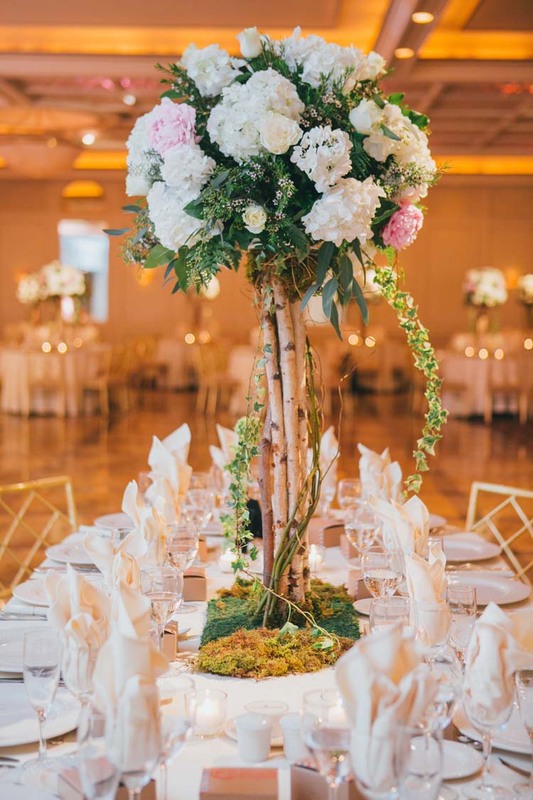 The table settings were gorgeous and the stage was fabulous. 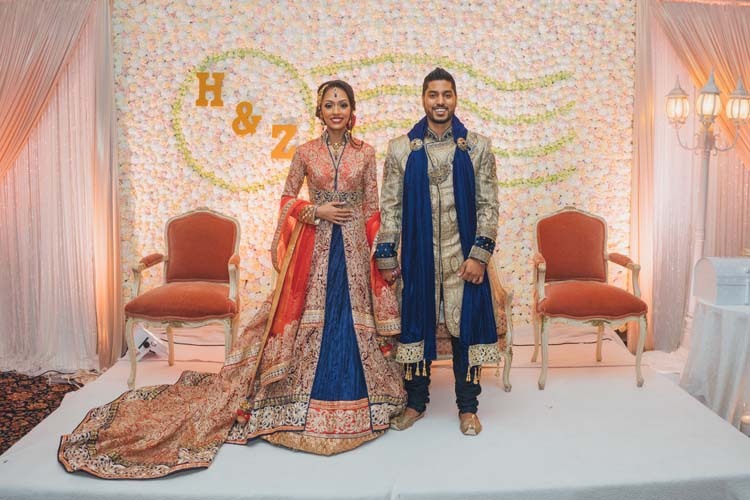 It was perfectly planned for Zenaida and Hafiez’s important day. 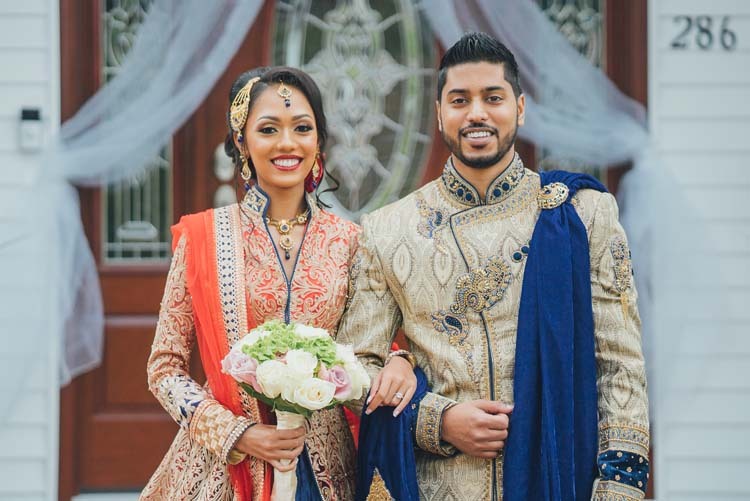 Treasuring their family’s traditions, Zenaida and Hafiez wore their traditional Islamic wedding attire during the wedding ceremony. 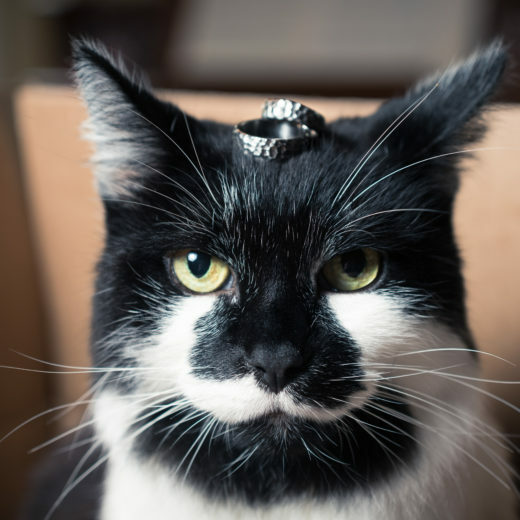 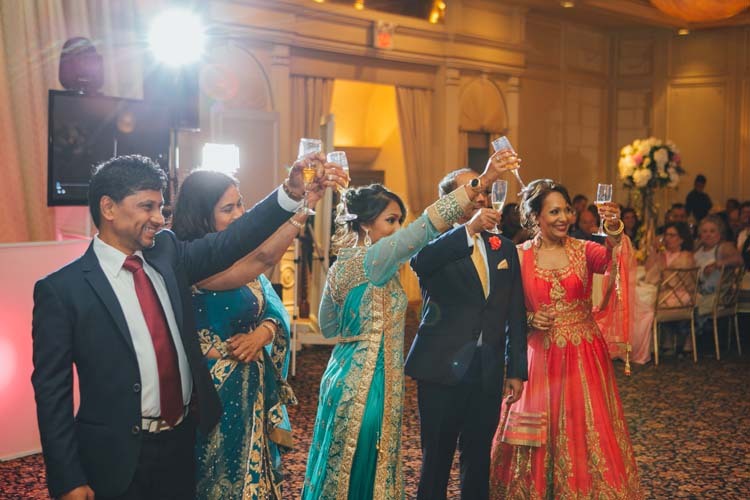 The ceremony was modern and glamorous while upholding the sacred customs the couple and their families hold dear. 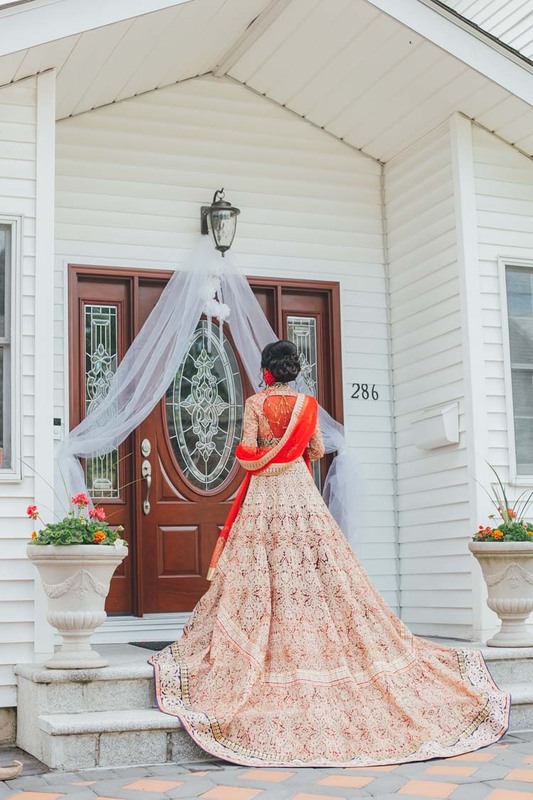 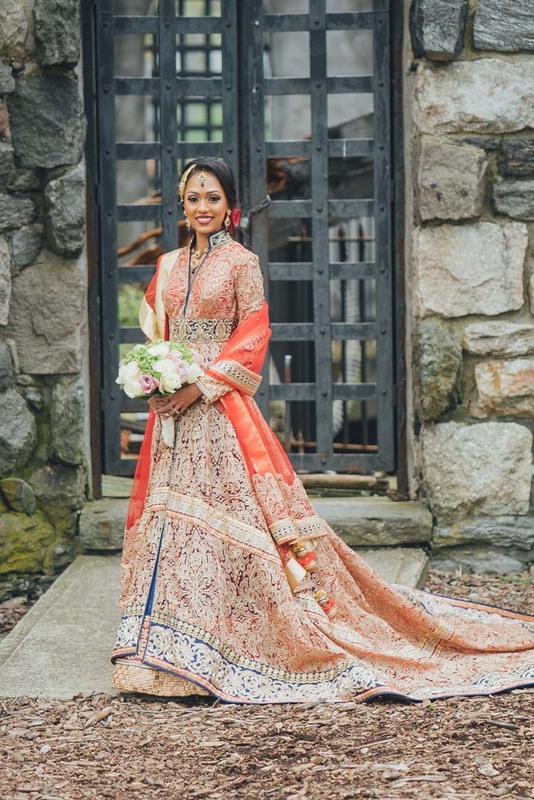 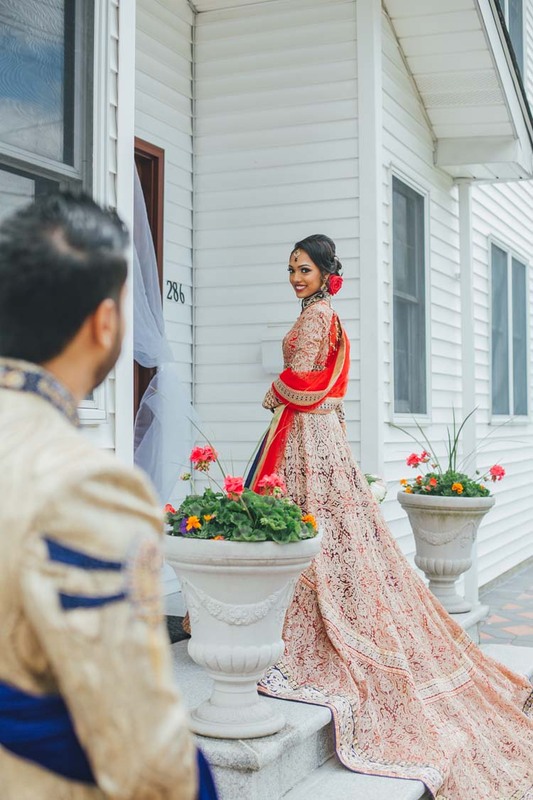 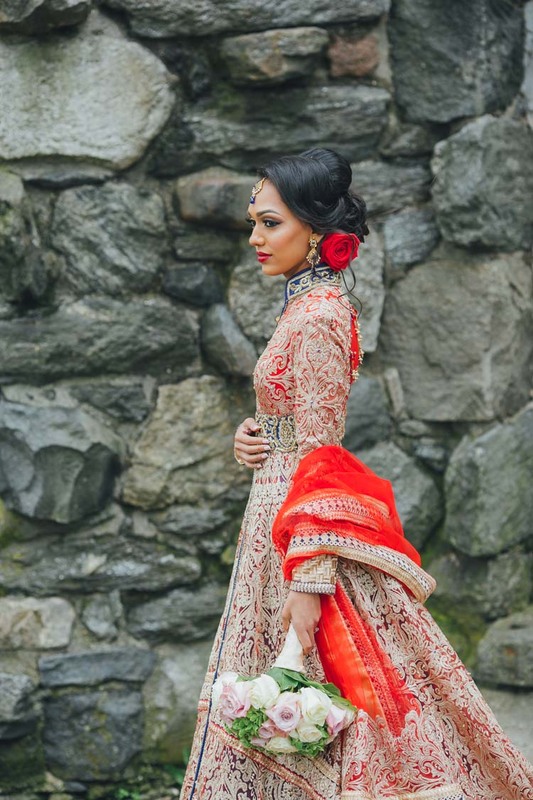 Zenaida wore a beautiful red lehenga with golden embroidery. 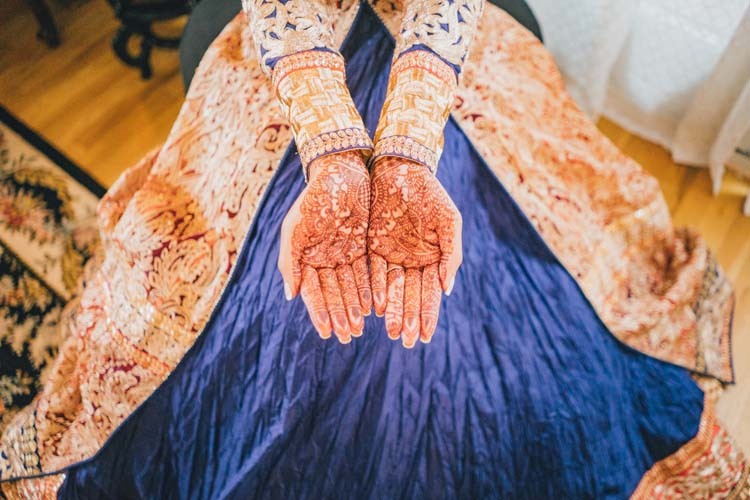 And as a part of their tradition, she was tattooed with mehndi. 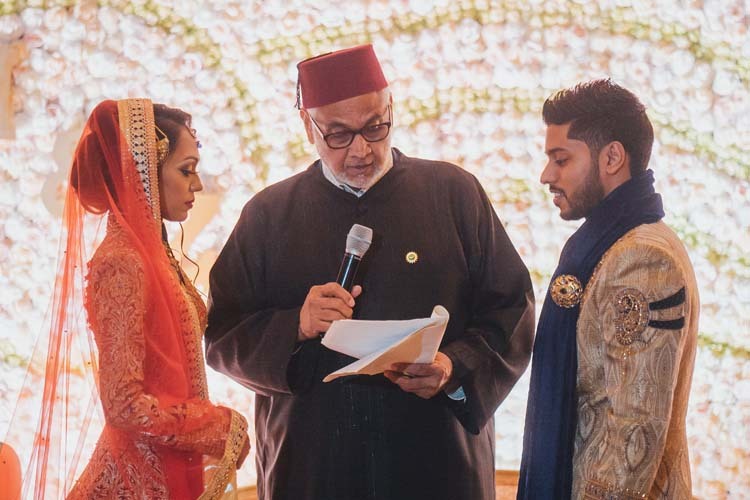 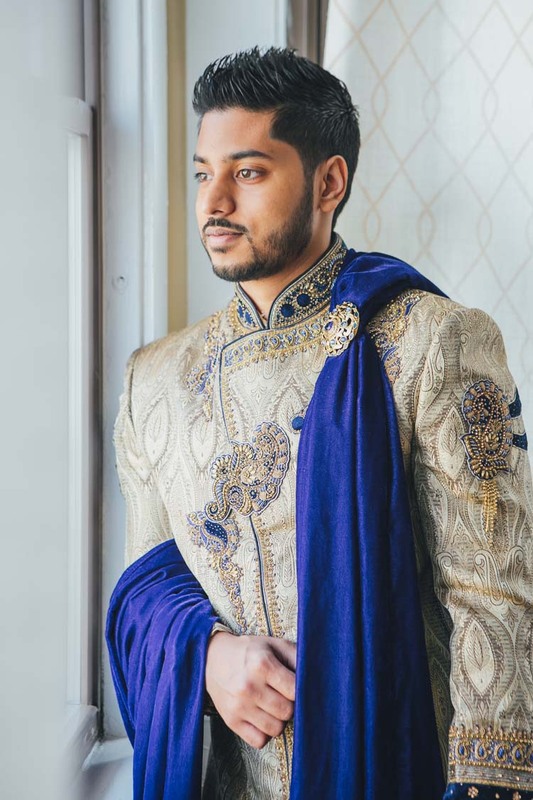 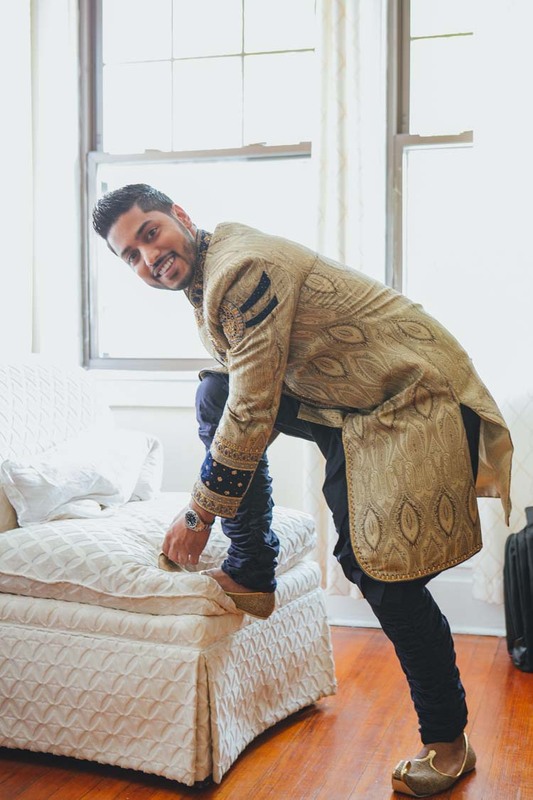 Hafiez wore his sherwani designed with a gold and a blue stash. 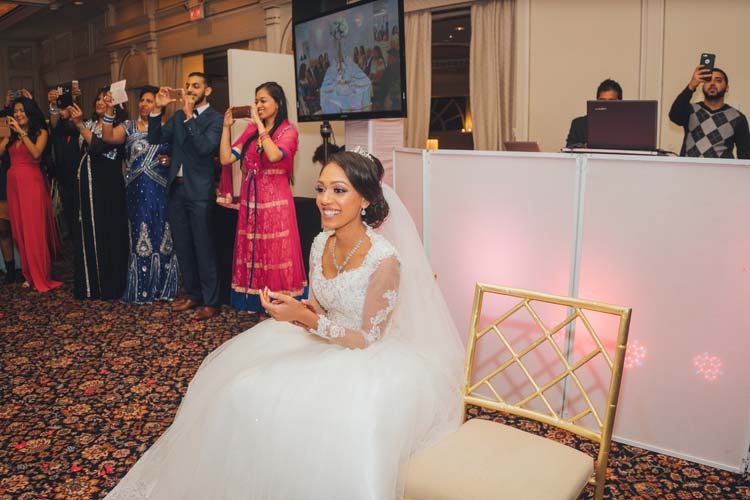 For the reception, Zenaida wore a stunning ballgown by Svetlana Bridal Couture, shoes by Christian Louboutin and a regal headpiece fit for a princess. 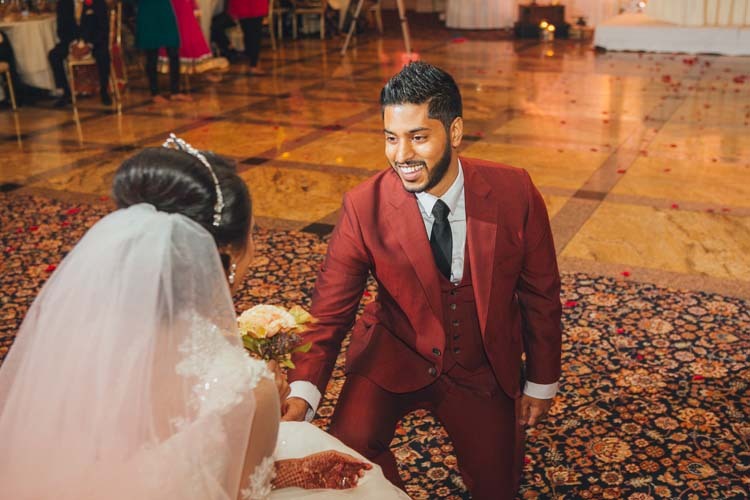 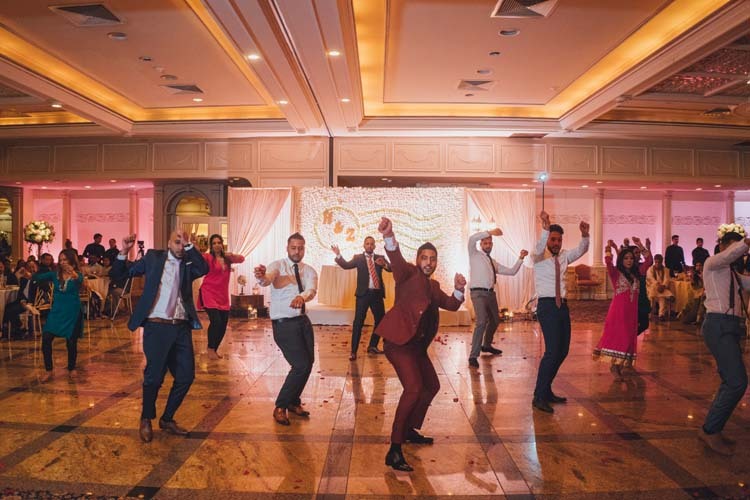 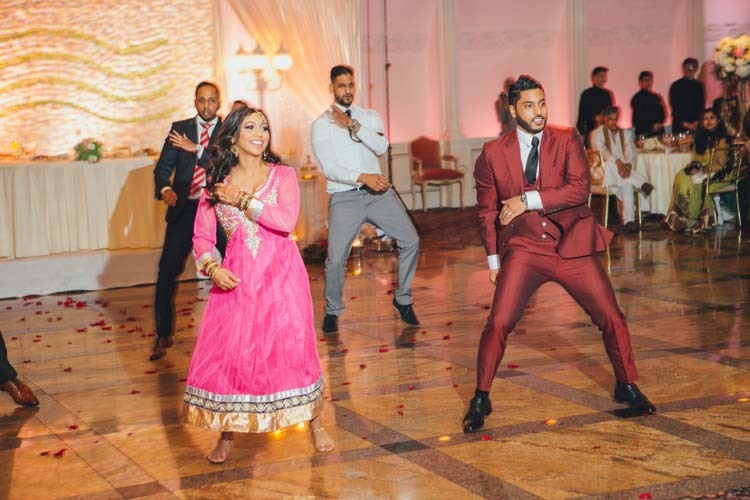 Hafiez wore a custom burgundy three-piece suit, stylish enough to court a princess but comfortable enough for surprise choreographed dancing. 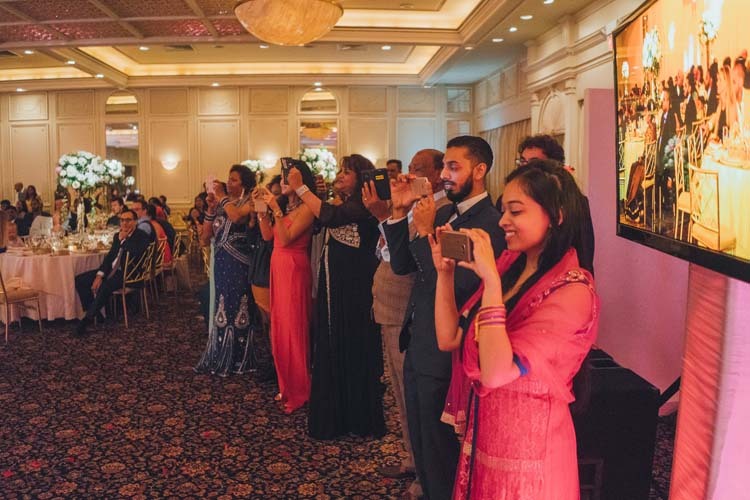 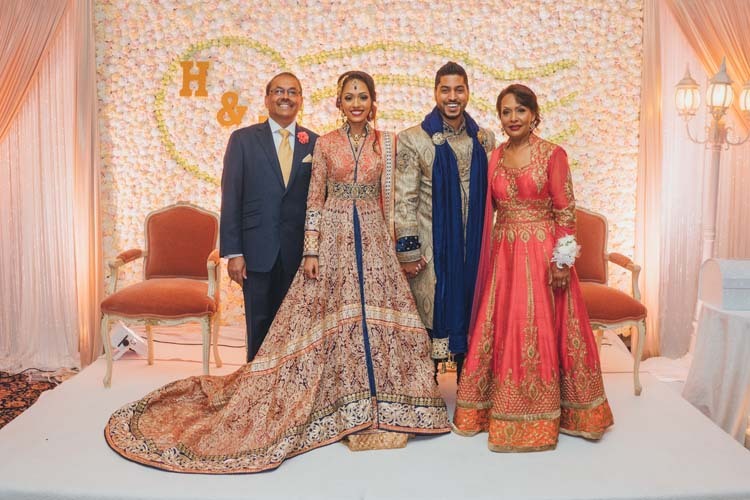 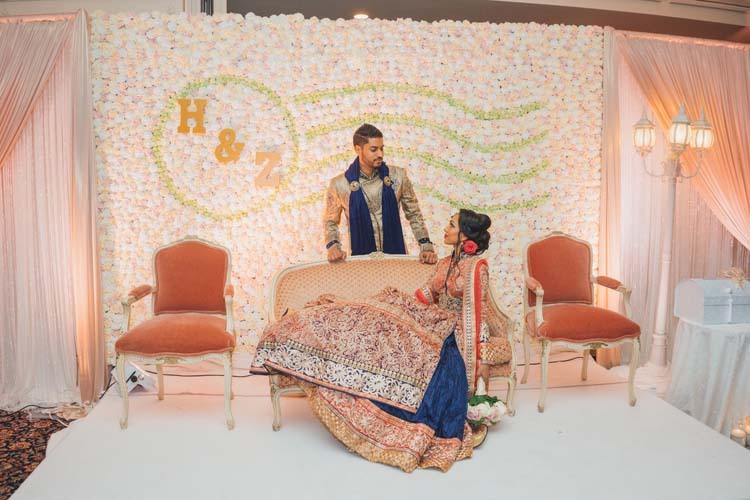 Families of both sides, relatives and close friends enjoyed celebrating the love of Zenaida and Hafiez with dancing, feasting on dishes catered by The Fountainhead and clinking their glasses as they wish the newlyweds well with luck and prayers.